Best Age to Learn Guitar for Kids? Guitar Teachers offer many different durations for child lessons, but which is best? Kids always have a great time at lessons! Let’s discuss how long is long! As you’re well-aware, children have a very short attention span – this makes lesson duration of utmost importance for retaining what they’ve learned, staying interested and motivated to learn. 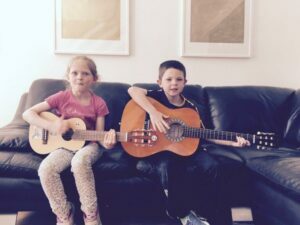 For standard one-one-one guitar lessons, the ideal duration is 20 minutes as they can take in what you’re showing them, have a little chat and look forward to the next. It also fits in nicely with your schedule. Adults and 16+ teenager lessons are different and are often longer, but for very young kids, anything longer than 20 minutes is almost always too long. Private tuition for such young kids can be quite intense for wee minds, so 20 mins helps keep them focused and less fidgety! Group lessons can be a little longer, at 45 minutes as they’re learning alongside other children, further expanding their flailing attention-span! Spending too long at a lesson will lose your child’s attention, retention of what they’ve learned and in the long run waste your time and money. Also, don’t stress if you hear your tutor chatting a lot about non-guitar stuff – it’s equally important to build a relationship, respect and to make the child want to get better for the tutor. I’m proud to have proven in my teaching of hundreds of children to understand their and your needs. To arrange your first FREE lesson, get in touch today! Book your FREE guitar lesson today! 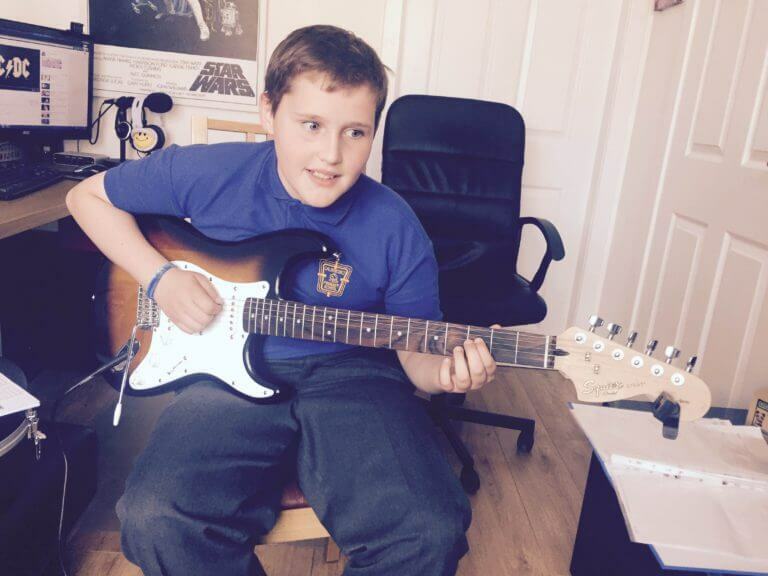 Copyright © 2019 Kids Guitar Lessons | Bearsden, Milngavie, Jordanhill | Ages 5 to 12. All Rights Reserved.